We provide many amenities, such as secure Wi-Fi for members of our office space. 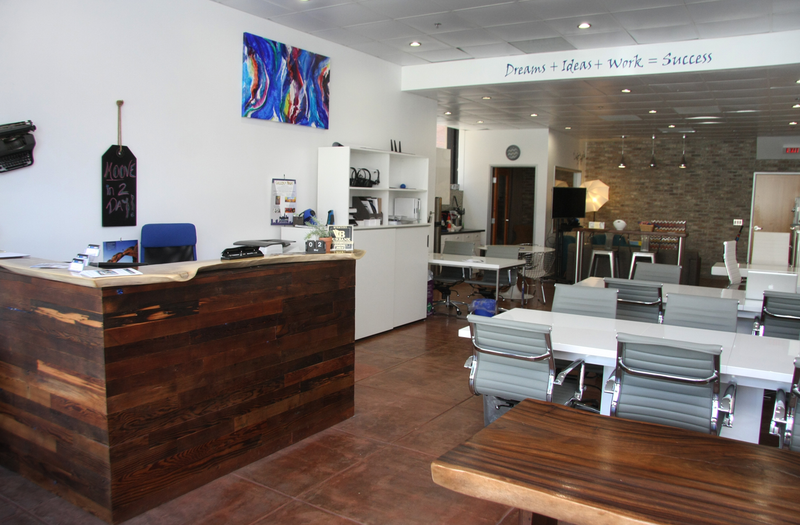 Our spacious environment provides clients with everything they need to stay productive. Secure and high-speed network allows you to safely surf the web and hold videoconferences. VoIP capabilities and private call rooms help you keep in touch. Our all-in-one document center can handle your printing and copying needs. And let’s not forget the free coffee and snacks! It’s important to have a sense of security, privacy, and have an office with everything you need. We strive to ensure that our clients feel comfortable and respected in our office spaces. If you have an important call to make or want a private area to have a videoconference, we provide the right amenities to make that happen. We also offer an all-in-one document center where you can get all your printing and copying needs done in one place. When occupying a office space it’s nice to want for nothing. With our office space, you have accessibility to all amenities. Whether you’re looking for VOIP (Voice over IP) or a business address, we provide these services to our members. Don’t pay expensive fees for an office you barely use; with our mail and call forwarding services, you can always stay connected with your clients. My Other Office just asks our members to pay for their time, we’ll take care of everything else. With complimentary coffee, tea, and snack, we focus on making sure our members feel right at home. We provide our members with everything they need and only charge them for their time in the office, no matter what amenities they use. We have everything available in a professional setting. Our contemporary environment is best described as comfortable yet professional. We make sure all the right tools and amenities are accessible to our members and easy to use. Our clients seek a productive environment so we aim to make it as easy and convenient for them as possible.